We buy and sell used clothes in bulk for wholesale. This includes a mix of men’s, women’s, kids’ and seasonal clothing. 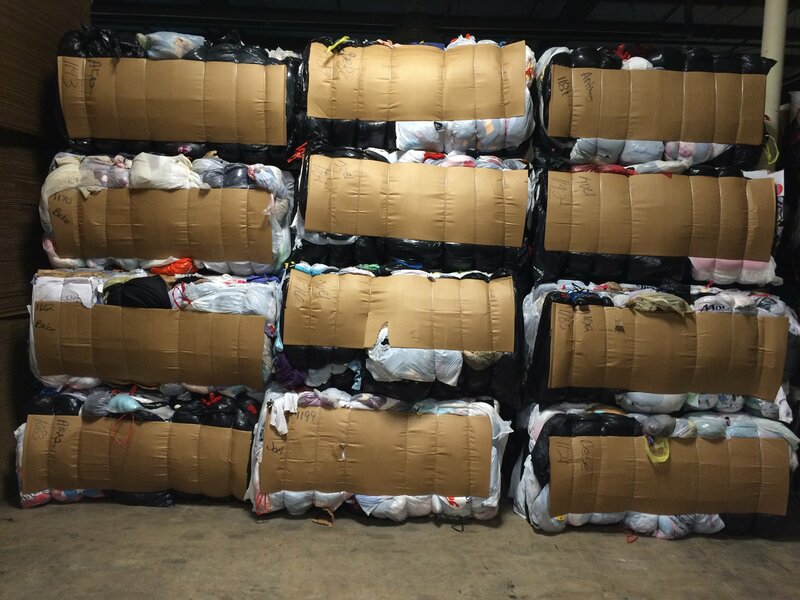 We sort before baling, removing damaged or unsellable clothing ensuring you receive only the best product for resale. Bank & Vogue buys and sells used clothing in bulk, with a range of categories such as unsorted credential clothing, vintage or mixed rags. We source clothing around the world from returns at retail stores, donations, unsold thrift items and more. Credential clothing is unsorted clothing, sold as it was donated and packaged in bales. These often include high quality designer clothes and other items. We are wholesale vintage and retro clothing experts, suppling the popular Beyond Retro line of stores, able sort though and find desirable vintage items. Our aim is to reduce textile and clothing waste entering landfills around the world. Contact Bank & Vogue today to find out how we can supply wholesale clothing for your business. We purchase all types of wholesale used clothing, from credential to mixed rags. When possible we send trucks to pick up baled and loose used clothing at your location. We are always looking for new opportunities for beneficial partnerships in domestic and international markets. We work with large and small retailers and wholesalers alike. Speak to one of our friendly staff members to start setting up a pricing and logistics plan today! We are able to deal in multiple languages and are sensitive to cultural and linguistic differences. For domestic markets, we fill 53-foot trailer loads for land shipping. 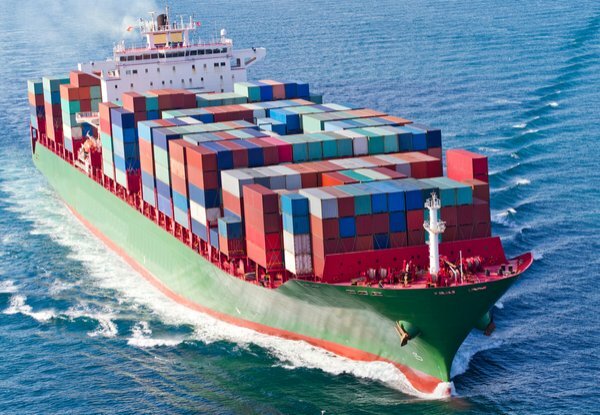 For international shipping, we utilize 40-foot high-cube ocean containers. We ensure our containers are filled properly and use space efficiently. 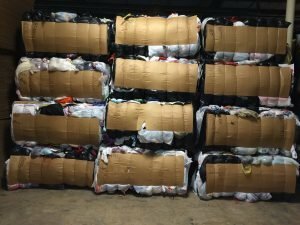 Targeting minimum weights of 25,000 – 30,000 pounds for loose clothing and 40,000 pounds for baled clothing. Through our years of experience we have developed a network of customers in five continents, suppling a diverse range of industries and retailers. Our wealth of experience and knowledge in buying and selling wholesale clothes and other items across the U.S., Canada and worldwide is unparalleled. We proudly work with your to find the best pricing and highest quality wholesale clothing for your needs. We strive for excellent customer experience, developing long lasting, mutually beneficial partnerships. Get in touch and we will happily answer any questions or concerns you have related to the wholesale used clothing industry. Whether it is credential, used shoes, vintage or accessories, for international or domestic shipping, we have the wholesale solution for you. Contact us today for shipping and packaging details.